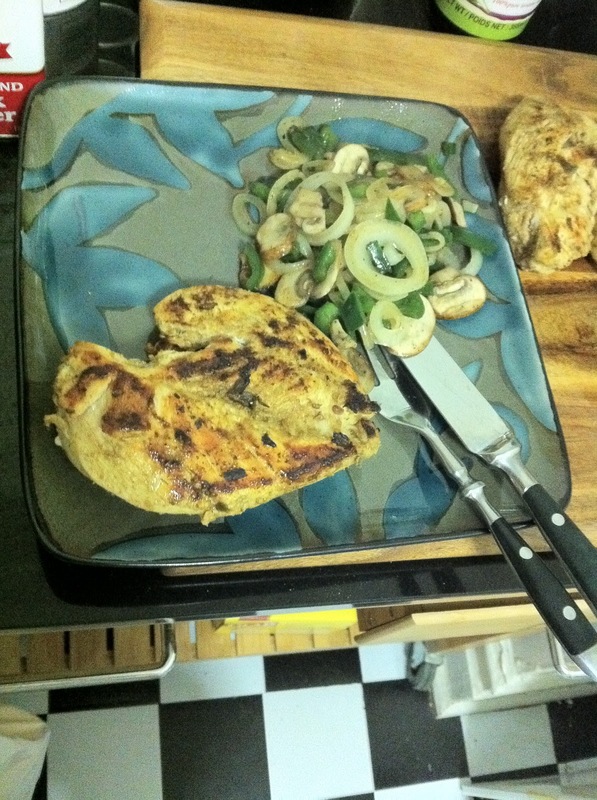 I've been crowing up and down about this dish since I made it last night. So, yes, that's not a long time, but I did incredibly well with it. It was made off-the-cuff with mostly ingredients for which I had a hankering. 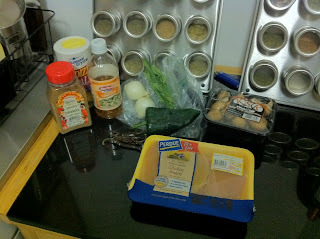 Place chicken breasts in a deep dish or tupperware container. Coat the chicken in all of the ingredients and mix. Place in the refrigerator for 20 minutes. Flip once. 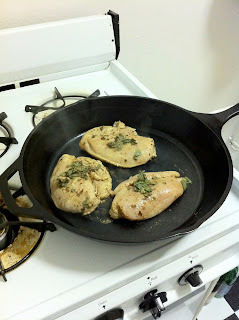 Heat a large pan or iron skillet on medium-high (if using a pan add 2 tbsps olive oil). 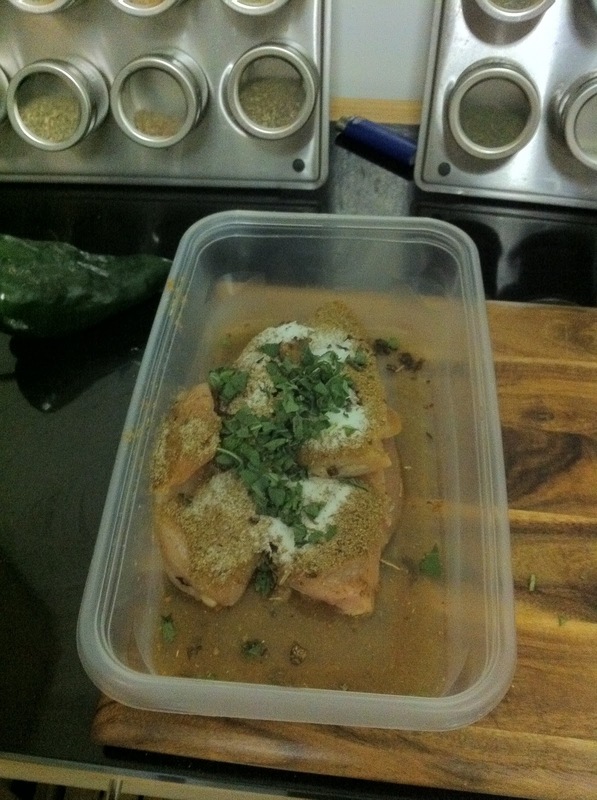 Spoon some of the marinade mixture, especially the fresh sage, over the breasts. Cook for fifteen minutes. Then flip and cook for another 7 minutes. Mmm...pre-sautee. You'll want to pre-heat a pan, the add the olive oil. 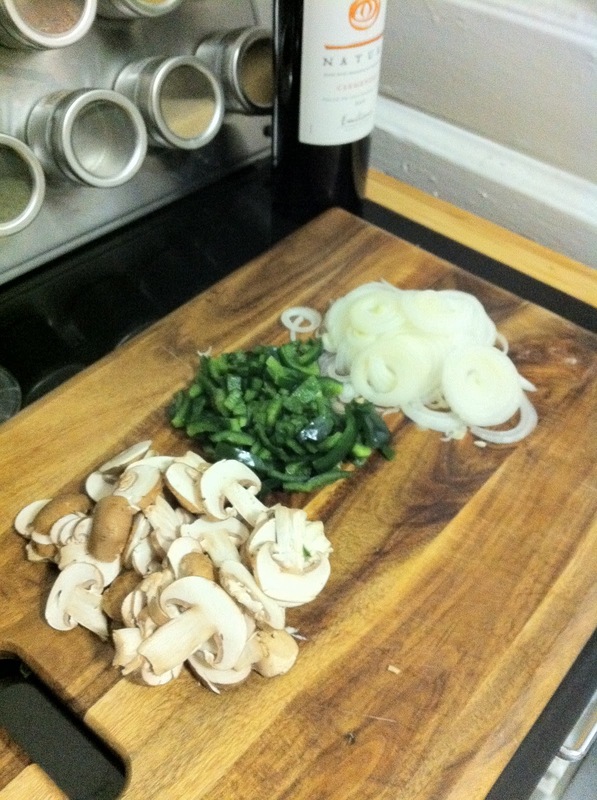 Start with the onions until slightly translucent. Then add the poblano for a minute. Finish off with the mushrooms. Should take no more than four minutes total. 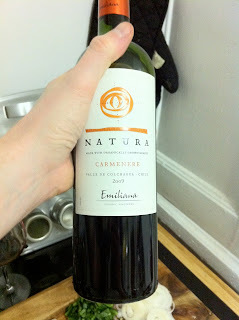 Alongside this dish I served an inexpensive Chilean carménère from Natura. It was an excellent wine and only lost me $9. The final product was fantastic, with a wonderful interplay of coriander and red chili. Tender chicken with plenty of juiciness served with a complementary spicy side of a different flavour. Damn I did good. I was just recently introduced to the joys of carménère. Yum indeed. Have you had wine made from tempranillo grapes yet? I believe they are mostly Spanish wines from the Rioja region, but they're another variety that's not so popular here in the U.S.